Rabbi Andrew Hahn, Ph.D., combines a variety of tools to introduce Jewish Wisdom to an increasingly global, religious village. 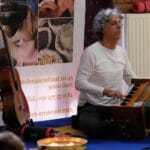 Kirtan Rabbi’s music is characterized by great energy, passion and melodic flow. 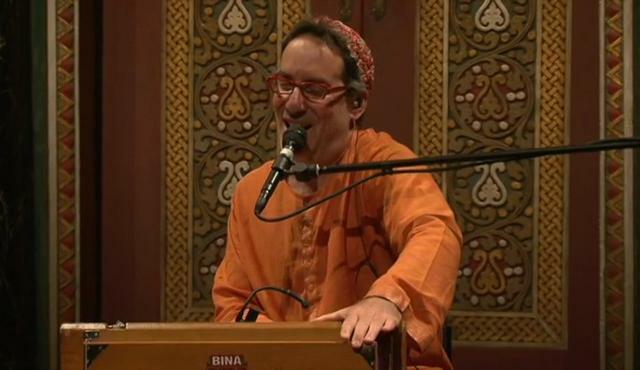 It seemed only natural to Kirtan Rabbi and others who had danced in synagogues and pounded more than a few Shabbat tables that Hebrew would work wonderfully in a kirtan framework. 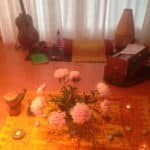 So, Hebrew Kirtan was born. siddur (the traditional Jewish prayerbook), as well as from the language of kabbalah (Jewish mysticism). Interesting, Jewish hippies in hindu clothing dancing a hippy-hindi type dance to Jewish words set to Hindi music…….really curious…..